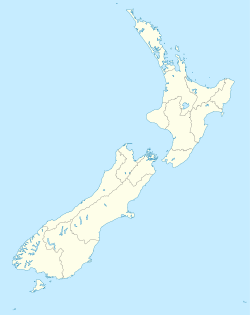 Linton Military Camp is the largest New Zealand Army base and is home to the Headquarters 1(NZ) Brigade. It is located just south of Palmerston North. Linton Camp was accepted in general usage from 1943, with the names Camp Manawatu or Camp Kairanga used earlier. Camp Ravenswood or Camp Whitmore were considered as new names in the 1960s, but uses of theses names never eventuated. 1 (NZ) Brigade supports peace and security through the provision of task organised forces that are ready to win on operations. HQ 1 (NZ) Brigade commands the NZ Army's field forces day to day (less special forces) and prepares them for operations. Training and Doctrine Command (TRADOC) trains and educates Army's personnel; develops leaders; establishes training standards; manages doctrine; integrates lessons learned and training support across the Army. In the 1950s, two large fires destroyed the Ordnance Depot and the Cinema. In October 2012, a series of shots were fired by an armed soldier, believed to be under the influence of alcohol, he then barricaded himself inside a house on the base. The NZ Police Armed Offenders Squad responded. After a five-hour siege, the police originally reported the man was apprehended, but later revealed he had committed suicide. ^ a b c Laurudsen, W.J (1989). Linton 1889-1989. Palmerston North: W.J. Lauridsen on behalf of the Linton Centennial Committee. pp. 151–156. ISBN 0473007061. ^ "Camps and Bases - Linton". NZ Defence Force. Retrieved 27 June 2018. ^ "Headquarters 1 (NZ) Brigade". NZ Army. 27 June 2018. ^ "HQ Training and Doctrine Command (TRADOC)". NZ Army. Retrieved 27 June 2018. ^ "Our Capabilities". Lockheed Martin. ^ "Multiple shots fired in soldier barricade stand-off". ONE News. Retrieved 5 October 2012. ^ "Soldier dead after Linton Military Camp siege". 3 News. Retrieved 5 October 2012. This page was last edited on 30 January 2019, at 23:06 (UTC).